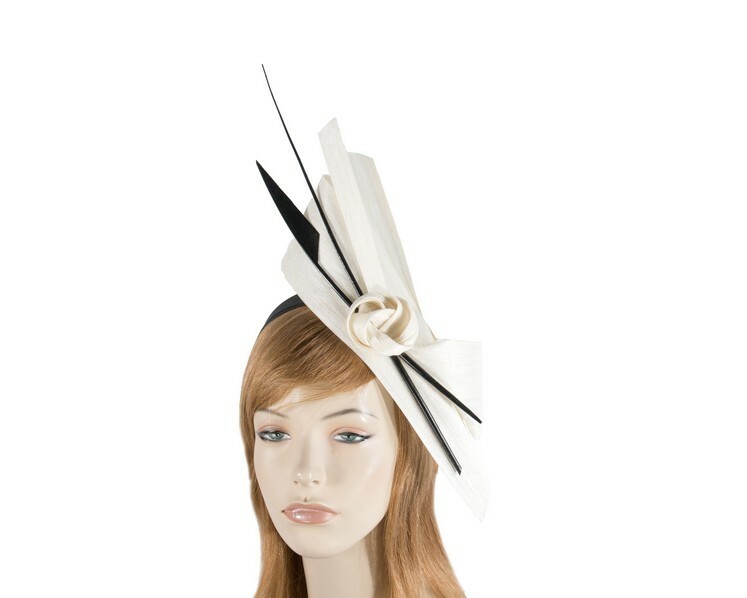 Exclusive Fashion Fascinator for you! 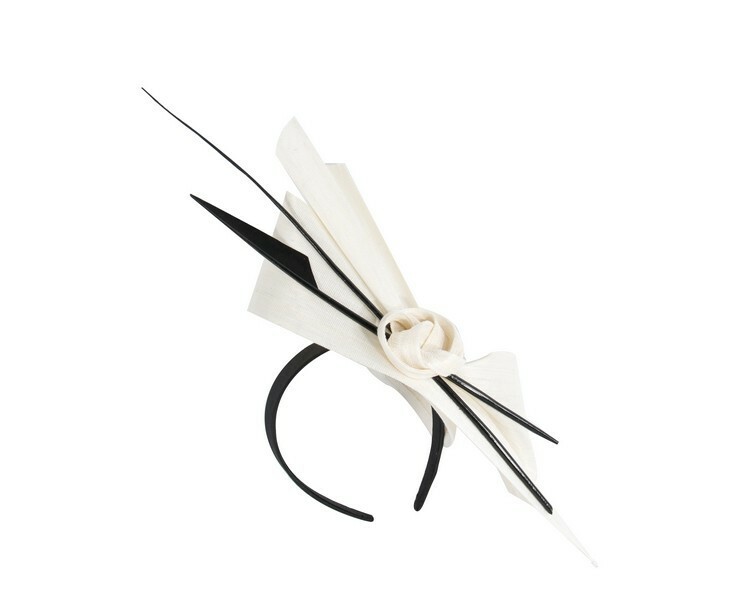 This elegant cream and black fashion fascinator features unusual shape with two long feathers. Hand made by us in Melbourne, this fascinator hat is mounted on the head band for comfortable wearing. 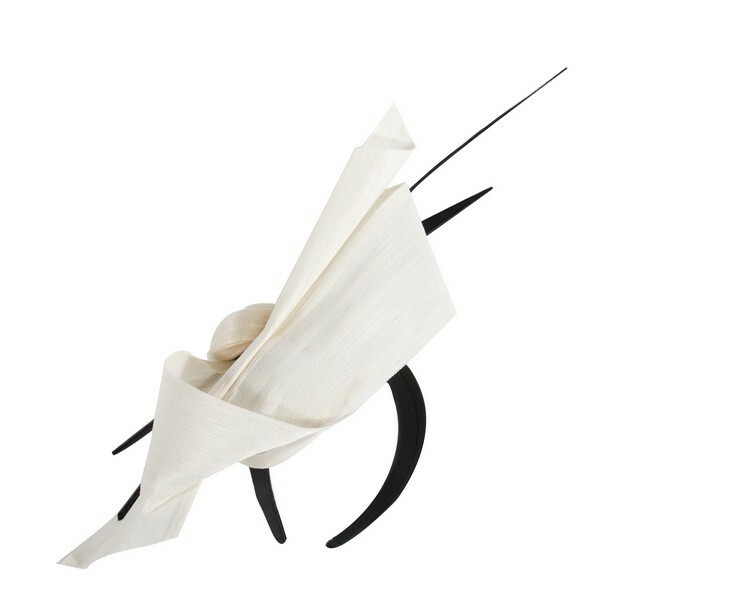 It will look beautiful on you at the Melbourne Cup, Ascot or Kentucky Derby. Please allow up to a week for creation of the hat.